En Plane Air, On view through September in Terminal 2, located pre-security on the departures level. 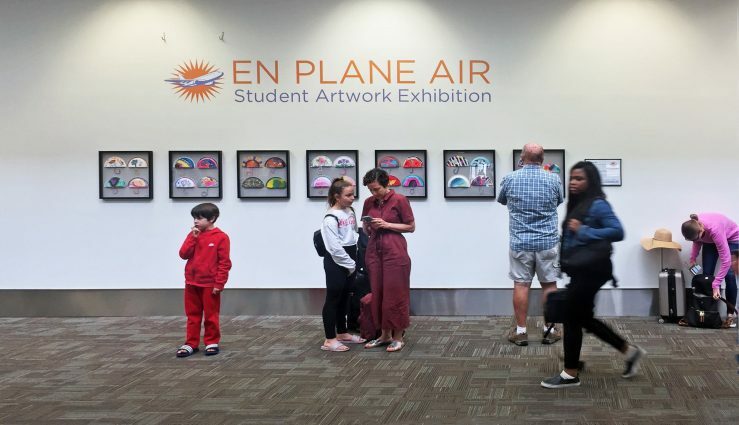 Broward County’s Fort Lauderdale-Hollywood International Airport unveiled its fifth installment of local youth artwork, En Plane Air, on Thursday, June 7th. The installation highlights the unique way creating art can provide comfort and security during challenging times. The colorful exhibition of 27 umbrellas – made of painted paper plates with pipe cleaners – was created by children of Broward County employees ages 4-13 who worked through Hurricane Irma in September 2017 at the County’s Emergency Operations Center. The umbrellas symbolically provided a source of safety for the children from the hurricane-force rain and wind. Creating art in the 24-hour childcare room provided an opportunity for the children of essential County employees during Irma’s 48-hour mandated lockdown, an opportunity to express their imaginations through art with the simple materials that were on hand. “As a member of the County’s emergency response team, it was great to see art actively provide a powerful respite and therapeutic outlet for my colleagues’ children during a crucial time in a high-energy atmosphere,” said Cultural Division Acting Director, Leslie Fordham. On view through September, the exhibition is in Terminal 2, located pre-security on the departures level. This new installment is a collaboration between Broward County’s Aviation Department and Cultural Division. 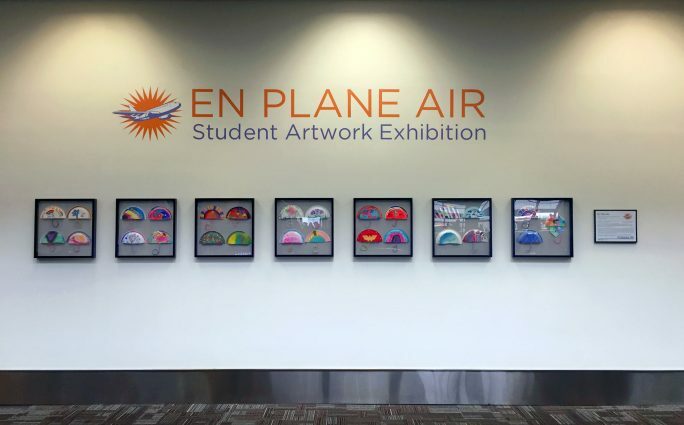 Broward County’s Fort Lauderdale-Hollywood International Airport unveiled its fifth installment of local youth artwork, En Plane Air.